1.Embed from Getty Images 2.Embed from Getty Images 3. 4.Embed from Getty Images 5. That’s 43 green hats worn over the past 16 years. Putting this post together, I came across a few surprises. First were the 11 green hats that debuted in 2002 (the year of Her Majesty’s Golden Jubilee). Jubilee years are busy ones that see more new hats than usual but eleven is new green hats feels especially high. Second is the complete absence of anything in a dark, forest shade (a given, I thought, for a winter wardrobe) – something Her Majesty rectified in 2018! I was also surprised to see that the soft, romantic picture hats we associate with the early 1990s (#2, #4, #6) were still in circulation after 2000…. and that for the past four years, all the new green designs have been in fresh, citrussy shades. Finally, there are several hats in this group that have been worn only once or twice and as a result, I honestly didn’t remember seeing them before (#10, #18, #21, #25, #26, #30, #31). I know several of you have been patiently waiting for this review so I turn it over to you- what do you think of the green hats Queen Elizabeth has worn so far this millennium? Were any hats here new to you? What shades of green work best for Her Majesty? First of all, thank you soon much for this wonderful site. It cheers me up to open it every day. When the Queen visited the US in 2001 and attended the Kentucky Derby, she wore a free hat that I don’t see here. It had a green brim with a pink crown. I have no idea how you come up with all these photographs, but maybe yo can track down that one. I think it was in the film that was made for her Golden Jubilee. Stay tuned for that to be included in the pink hats… it has a bit more pink than green hence the classification. The discrepency of colurs is no more obvious than in this photo, The dress and hat are Hatnell, c. 1977. Sorry, I have no idea how to post an image to this site. I forgot to ask…will we be seeing a collection of HM’s hats in another color? We’ll slowly work through more colours so yes- we’ll see more collections of Queen Elizabeth’s hats as well as the hats of other royals. HM really will push the hat designs and colours wont she? The ziggerat is my bonkers look favorite (7b) while #4 is a disaster. I really admire the way HM wears even the most outlandish head gear (black net and bows?) with a straight face and such wonderful confidence. I think she likes an ‘amusing’ hat. I was thinking the same thing when I looked at #7. This shows the queen’ s famous sense of humour. Maybe #20, too. I am drawn to #2, #4, and #6. They are such different shapes than HM wears currently. I guess I like big picture hats which are better for the tall Diana/Maxima types than petite Queen Elizabeth. Still, just looking at the hat itself I think these are beautiful! Number 6 reminds me of the swirly pink one we took a look at not long ago. Thanks for this enormous inventory of greet hats HatQueen. My favourites are 2, 6, 15, 23, 26, 39 and 43. 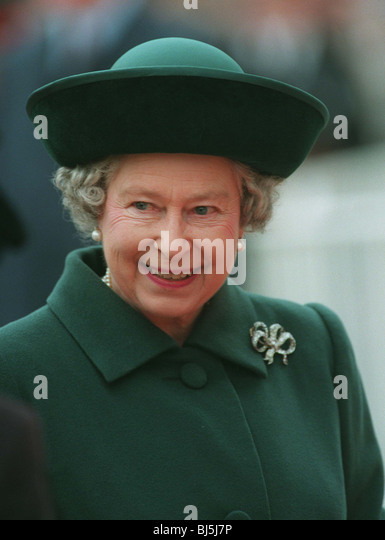 The Queen looks fantastic in green! That is a lot of green hats for sure. My favorites are 6, 13 16 and 37. I also think it is interesting that there are no hats in what I would call a kelly or grass green. There are lots of pastel and even neon greens and even some blue greens. I certainly understand that HM needs to catch the eye of people, to stand out in the crowd. When you see all of these hats all lined up a person can see how some of the styles have changed. Most of these greens would be hard for anyone else to wear. #37 and #40 are the only ones I like. 1. I’m surprised how many have commented favorably on Queen Elizabeth’s most recent green hat, #43. I like the hat but was so turned off by the exaggerated lapels on the coat that I didn’t consider the hat a winner. Shows how one’s impression is taken over by the remainder of the outfit. 2. I don’t remember ever seeing hat #2. I like it. 4. Most people seems to like #39, and I join them in wishing for its repeat. 5. I wish that that bump in the green where it joins the white at the front top of hat #41 could have been or still could be removed. It ruins the overall impression of what otherwise might be a really good hat. 6. I’ve always assumed that hat #33 was a RTM. Top views shows that typical bump-up that’s found on her hats with that strong slice on the right. These inventories are fantastic and will make future comparisons so much more efficient. Thank you, Hat Queen! I have also looked very closely at #36 here and #17 in this blue inventory- you’ll notice that I chose outdoor photos for both hats as natural light is the most reliable way to see the true colour of each. While the pattern is the same in the straw used for both hats, I really do think the colour is different. Wowza. The army greens just don’t look good and drag her whole look down down down. DOWN. I LOVE the green and electric blue combo of #11. #39 and #40 are great hats, #42 is growing on me but I think #43 is THE winner. Green without being in your face. I absolutely love green. It is my favorite color. My favorite hats are 26, 39, and 43. 26 stood out for me the first time through this list and I was surprised it has only been worn once or twice! I would like to see it again, too. I read very recently that green in HM”s favourite colour. There’s plenty of evidence these past few years that that may be so. I prefer HM in clearer, brighter greens, thus my favourites are 6, 13, 39, 41, 43. The challenges for me are 7, 8, 20 and 21. Number 33 is dayglo fabulous and I’d love to see it again. 37 is so elegant and happily got lots of runs in the rotation. I just can help thinking this is A LOT of green hats – Surely they haven’t all been needed?! So many green hats! Wow! I think that my faves are: 13, 23 and 26. Plus, I like the most recent six hats as well. It is so interesting to see all this variety – thanks for all your efforts to track these down, HatQueen! One thing that struck me is that a great variety of different shapes look well on the Queen, including hats that are quite tall and hats that are quite wide. However, I think the one type that really don’t suit the Queen so well is the style of 4 and 6 which is just Big in all directions. I like both these hats themselves quite a lot, I just don’t think the Queen looks as well in them. But they would be just the thing for the Duchess of Cornwall, who excels at wearing Massive Hats. Thank you for the exhaustive inventory. Frederick Fox’s #7 is such an usual design! With others it’s often hard to tell with the turquoise hats whether they’re more blue or green. It is hard to classify some hats as either blue or green when they’re in the middle- for the same reason, I have saved this hat to include in a future yellow category! I dithered back and forth about including #35 as a green hat or a yellow hat… I went with green here as the base of the hat is entirely green and the yellow straw wrap is, officially, an addition to it. These hats certainly don’t fit into neat classifications which speaks to their diversity. #2 leaves me breathless with delight, and #28 is so chic!! These are definitely two of my favorites that I’ve ever seen her wear. Hat Queen, isn’t #28 a forest green? Oh dear – I hope No 20 is been retired! That crown shape is horrible! I’m glad to read you said some of the odd ball greens that I call hospital green, like No 2, have mostly given way to more citrus shades of green.I guess on my color wheel in my mind, I don’t think of turquoise like No 34 as being greens – I tend to lump those into the blue family myself. I did a quick rating of them all, in my opinion the best are: #s 12, 14, 17, 24, 26 and 34. Also very good are #s 9, 11, 13, 16, 23, 28, 35, 40, 42, 43. I guess I like the recent hats pretty well! The worst are the earliest ones. Maybe I am biased towards what is current. Anyway, that’s a lot of hats! Unbelievable! If memory serves me correctly, #7 was worn to the International Corkscrew Exhibit (ICE). Many are truly outstanding, among them #s 11, 26, 27, 34, 38, 39, and 43. Back here in Minority Corner, I DO like #s 13, 35, and 36. How’s this for a forest green hat, worn on March 22, 2007? Worn on March 19, 1996, this beauty is very similar to #1. I considered that hat but it’s far more blue in most pictures than green! I was actually going to look up the ICE until I rechecked the hat involved! It does sound like an event on the Court Circular, doesn’t it? I like the upturned brim in your photo, a very different and IMO flattering look. 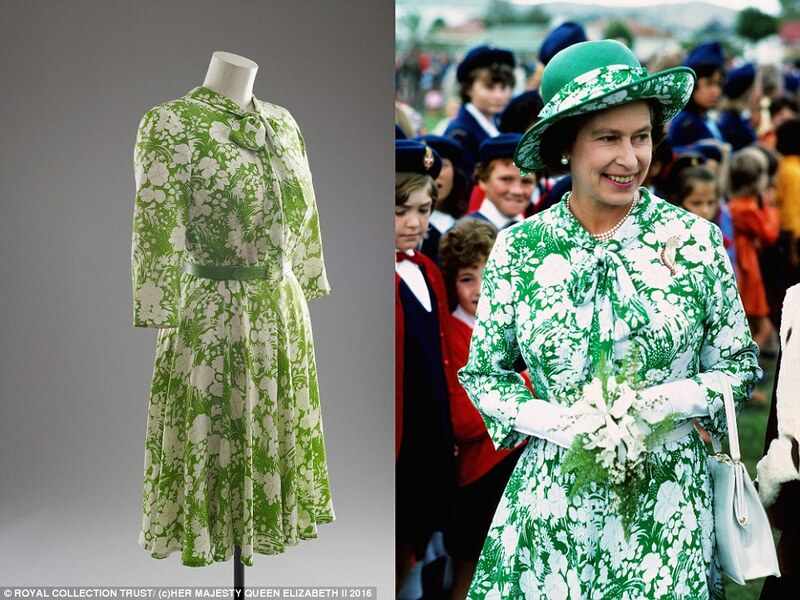 Green is not a popular color in general for hats, but HM has worn many more than I imagined! As @Edie said, it’s strange that there are almost no hats in forest green (the first one being the closest, although it seems a bit more olive to me). The early 2000s were not a kind era for millinery in general, full of odd experimentations with size and structure, and this is evidenced here (especially with 4, 6, and 7). Unfortunately I think the experimentation went really crazy at times with the green, which made it seem worse. Of the earlier hats, 9 is a great shade of green for HM, and one I think that should come back. 17 is another personal favorite, and it is a Somerville hat (http://www.gettyimages.com/event/hats-by-philip-somerville-513430923?#queen-elizabeth-ii-opens-the-refurbished-ministry-of-defence-main-in-picture-id52116520), and I would love to see this again. 28 is a beautiful turquoise jewel tone for HM, although I’m not so crazy about the upturned brim on this particular hat. And 32 is an interesting hat with some lovely shades of green, but the outfit with it was all wrong. 34 remains an all-time favorite; the color, shape, and trimmings are just perfect. And of course, my undying love for 38 is probably annoying to everyone at this point, but this is another all-time favorite; I have many connections to the hat, including my favorite color, thinking it’s a great hat in general (one of Angela Kelly’s best), and its significance in premiering at the meeting with Martin McGuinness in Northern Ireland, where I spent a semester in university, so there are my biases. On 39 I wish the downturned part of the brim on the right came out farther to balance this hat a bit more. I know the brightness of 42 was off-putting for many, but I still think this is a great hat for HM. And finally, I think 43 has potential to be a good working hat, and hope to see it again. Thanks @HatQueen for all this work! Jake, is this a larger version of #17? I’m glad you enjoyed this! It is a much more varied group than I thought it would be as well! Thanks for the ID on #17. I think #15 is a Somerville as well. Thanks for the inventory. My favorite is number 13. It is well proportioned and I like the stripe in the straw as well as the simple but zingy decoration. I am also drawn to the romantic elegance of number 6. But there is something I really like about a small hat on the Queen, such as number 8. The smaller size lets her face be the focal point. Of the more recent hats I like number 26. I like the light springtime green and the contrasting trim. Some of the hats are too much of a sameness with the outfit. I’m not sure the Queen looks that good in some of these colors. You can see in some of the pictures that her makeup artist has been a bit heavy handed, possibly to counteract the green reflections on her skin. They do make her stand out in a crowd though. I love it, wonderful collection! 2, 9, 17, and 43 are my favorites. It was interesting to me how many there were and in a color I don’t count among my favorites for HM. But several are really lovely! What an amazing variety! It seems to me that the more acid greens, with more yellow, do not suit Her Majesty as well as the bluer greens. It is certainly strange not to see a forest or a bottle green. The first hat seemed forest green to my monitor. My fave is # 15 -great shift and lift for a vertically challenged person, makes her much more visible in a crowd, and a lightness of spirit to it. Wow, those are quite a bunch. Many of them not that pretty! But wow! Wow! What a variety – from the ridiculous to the sublime. And I’ll leave it at that.